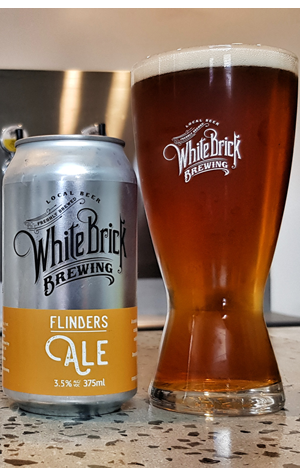 With a BBQ festival approaching at his brewery in Brisbane's north, White Brick’s Adam Gibb decided to release a smoked blend of his popular mid-strength ales. Using a specialty smoked malt, he designed an easy-drinking brew with the aim of accompanying the magnitude of BBQ offerings at the brewery's Bricks and BBQ competition (running from March 8 to 10, 2019). Adam describes his latest variation as an ale with smoke on the nose, which is more subtle on the palate and comes with a mild, lingering bitterness to sit alongside the sweetness of the BBQ cooks marinades and rubs. Coming in at a low 3.5 percent ABV, it should be ideal for chefs spending long days tending to their low and slow delicacies.